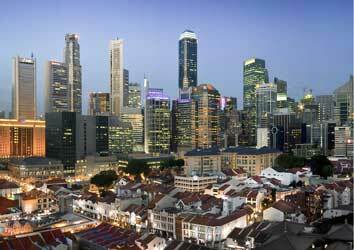 Singapore is set to change its existing scheme that allows wealthy expats quick residency status in return for large investments. The current Financial Investor Scheme (FIS) gives permanent residency status to high net worth expatriates who invest $10 million (£5 million) in Singapore over five years. Under the rules, $2 million of this can be used to purchase property. However, the Singapore government is facing unrest from locals who are said to be worried about an expat influx and the affect this could have on property prices. To alleviate concerns the scheme will be stopped at the end of April. Expats are known to prize residency status in Singapore as it has emerged to be a true global hot-spot, boasting high standards of living, education, and a healthy economy. The FIS originally had a smaller investment amount of $5 million, however this was increased during previous attempts to lightly curb the influx of expats. Despite the scrapping of the FIS, wealthy expats can still become permanent residents via the Global Investor Programme (GIP). This is open to expat entrepreneurs who can invest $2.5 million into creating business and boost employment. Also, the business must turnover $30 million a year.